As a child I spent my childhood summers driving in my fathers station wagon to Winnipeg to visit my grandparents. It was bliss, laying in the back of the station wagon with sleeping bags and pillows, watching the scenery pass. Trying to encourage truck driver to honk their very loud horns. Watching the aurora borealis light up the night sky. Trying in vainto see 'the sleeping giant', which forever alluded me. The breakfasts at truck stops were some of the best I've ever tasted. When my daughter was a baby we moved to Alberta, and thus started our exploration of that incredable province. 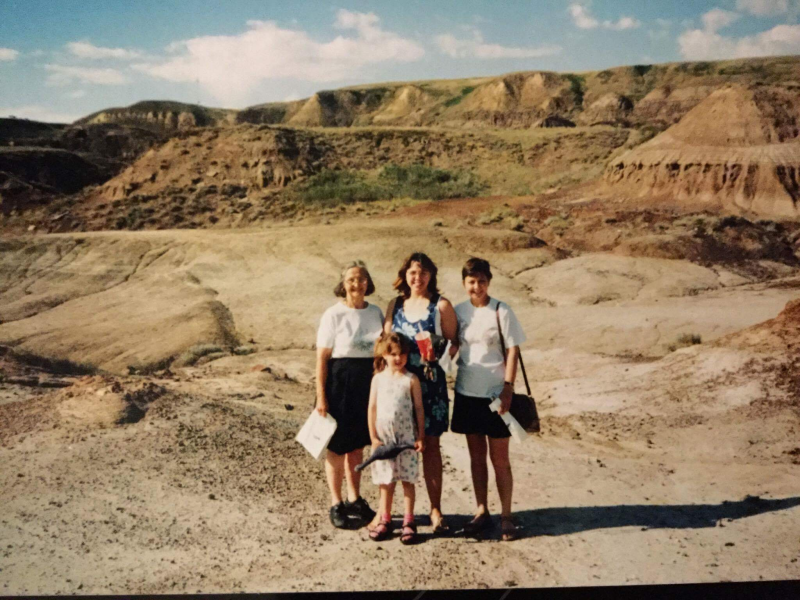 Drumheller holds some of my fondest memories. Its sunny, windy bliss is equal only to Troy in Turkey. My son was born in Canada 5 years ago, but his Scottish father was more established than myself, so we moved here. It makes me very teary to think of all the things my son is missing. I would love to have the opportunity to take him to see his grandparents in Niagara Falls, take a thrilling ride on the jetboats, Maid of the Mist and Canadas Wonderland (Paramount), but Id love to have him see Drumeller and the badlands, see Head Smashed in Buffalo Jump, see Jasper and The hot springs. I would love to watch the wonder in his eyes, to see it bloom in him. It would be absolute heaven to take my adult daughter with us, to have her experience all that again. I sometimes feel like Ive spent my life missing Canada. Ive watched from afar how Canada has grown in international esteem.